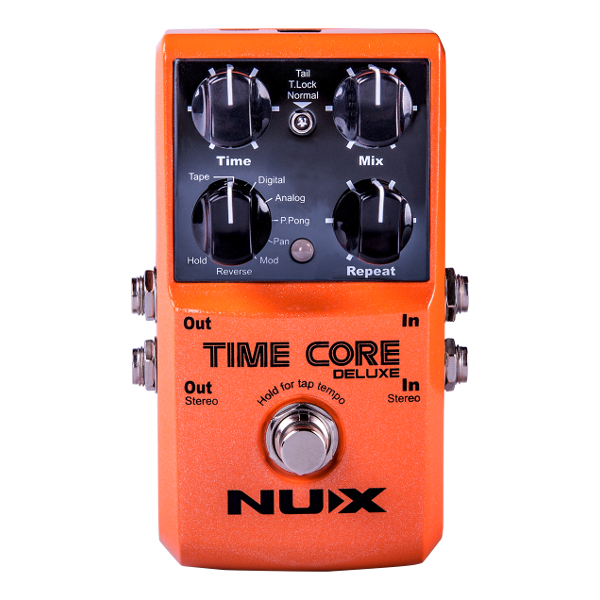 Nux Time Core Deluxe Delay Pedal., Newark Musical Merchandise Co.
Time Core Deluxe, awesome, user-friendly delay sounds all wrapped up in one little box. You get a total of 7 different delay types offering a wide variety of delay effects from: 40ms Doubled Rock n Roll delay, then all the way to 1500ms, with an absolutely mesmerizing wash for ambient echo! Each delay mode has its own characteristic sound, tweak-able to personalize your preset. Fill your lead tone for solos or experience new and interesting ways to enhance rhythm guitar performance. Analog - Simulates the BBD algorithm and every repeat of the sound reusing the previous repeat. It comes down to personal taste. Ping Pong - Repeats will bounce on left and right. Stereo output connection recommended. Pan - Repeats have a pan algorithm and it will bounce from left to middle and then to right. Stereo output connection recommended. Reverse - Repeats will play backward. You can explore the dark side of the moon! You can customize the delay speed by using Time knob or press and hold the footswitch for 2 seconds to activate TAP TEMPO function. After you choose a delay mode, Time Knob controls the delay speed, Mix Knob controls the effected signal and dry signal balance and Repeat Knob adjusting the amount of repeats. It has Stereo Inputs and Outputs for a better experience and flexible routing, you can use Time Core Deluxe in any effect chains with different connection methods. 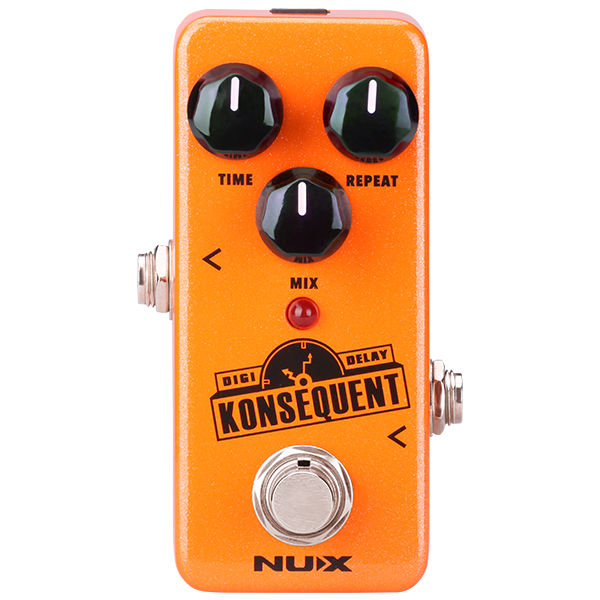 Time Core Deluxe comes with a 3-way toggle-switch allowing you to change between 2 Bypass modes and NUX’s unique Tone Lock (T-Lock) function. TAIL MODE:Buffered Tail Bypass which maintains the effect of the last note played.